Concrete patio northern VA has been designing and constructing custom quality stamped concrete patios for the past 19 years in Northern Virginia, Washington DC, and Maryland. We proudly serve Great Falls, Fairfax County, Loudoun County, Chantilly, Tyson’s Corner, Oak Hill, Reston, Falls Church, Great Falls, and McLean. Some of the benefits of outdoor concrete patios are its high durability and low maintenance. Pavers Driveways VA design and install custom quality concrete patios that will last years to come. Concrete and Paver Driveways VA has landscape designers who will generate concrete patio design ideas and a patio designs that fit all your needs. For outdoor concrete patios we offer stamped concrete or stained concrete. 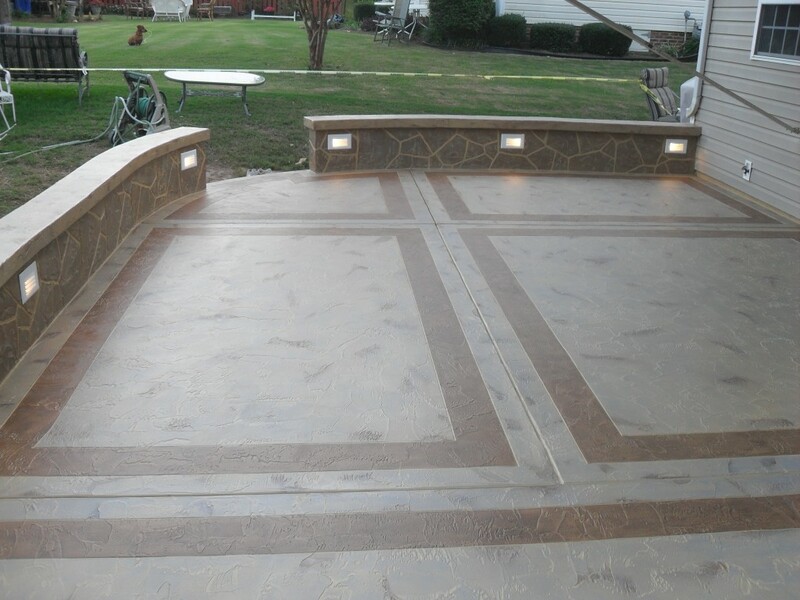 Outdoor stamped concrete patios allow you to create various shapes and designs, including any color variation. Stamped concrete allows for the look of a brick patio or stone patio, with the durability of concrete. We offer various outdoor patio options including but not limited to flagstone patios, brick patios, natural stone patios, concrete patios, and paver patios. We select quality flagstone, brick, concrete, and pavers for our clients. Please feel free to contact us for a free consultation.